As part of Power for the Plains, Xcel Energy has invested in over 800 miles of new transmission lines since 2011 in New Mexico, Texas and Oklahoma. More than 700 additional miles of transmission line is planned to be constructed through 2021. Since 2011, over 30 new substations have been built and nearly 40 others upgraded. Another 27 substations will be built or upgraded through 2021. The transmission expansion represents more than $3 billion in investment. 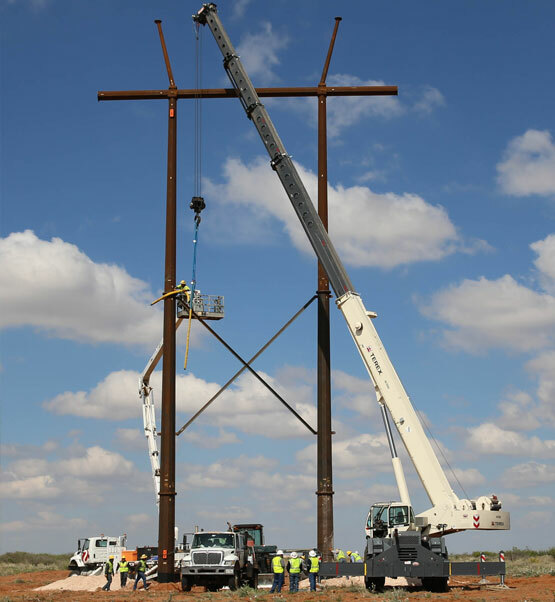 2010 - The Southwest Power Pool Inc. (SPP) approved a series of new Xcel Energy transmission lines spanning portions of Texas, New Mexico and Oklahoma, to help improve electric reliability, strengthen the existing transmission grid and provide outlet for additional renewable wind generation. 2013 - Xcel Energy began promoting an effort known as the High-Priority Incremental Load Study, which was approved by the Southwest Power Pool in April 2014 resulting in 44 new transmission projects for Xcel Energy to build within its New Mexico and Texas service areas. These projects represent a $557 million investment in new high-voltage transmission lines and substations through 2020. The plans called for 400 miles of new high-voltage transmission lines and 12 new substations, primarily in eastern New Mexico and West Texas. These projects were in addition to more than $60 million in new transmission facilities approved by Southwest Power Pool in February 2014, as well as 240 miles of new, lower-voltage distribution lines that deliver power directly to customers, mostly in Lea and Eddy counties. Xcel Energy works with the Southwest Power Pool on a continual basis to plan for transmission projects to meet the needs of customers and ensure reliable electricity. Often these scheduled studies result in additional projects to be constructed by Xcel Energy. The general Xcel Energy service area covers more than 50,000 square miles, including most of the Texas Panhandle, the Texas South Plains region, and eastern and southeastern New Mexico. Xcel Energy also owns transmission lines in Oklahoma and Kansas. Xcel Energy's electric facilities include 7,228 miles of transmission and 433 substations. Rural electrical cooperatives and municipal-owned utilities lie within the Xcel Energy service area. Power provided to these entities is produced at various generating plants and transported over Xcel Energy transmission lines. Xcel Energy Inc. (NYSE: XEL) is a major U.S. electricity and natural gas company with regulated operations in eight western and Midwestern states. Xcel Energy provides a comprehensive portfolio of energy-related products and services to 3.5 million electricity customers and two million natural gas customers through its four operating companies. Xcel Energy's headquarters is located in Minneapolis. Southwest Power Pool, Inc. (SPP) is mandated by the Federal Energy Regulatory Commission (FERC) to ensure reliable supplies of power, adequate transmission infrastructure and competitive wholesale energy market prices. The non-profit organization consists of investor-owned utilities, municipalities, generation and transmission cooperatives, state authorities, independent power producers, power marketers and independent transmission companies. SPP ensures the least expensive energy is used to meet consumer demand. It also monitors the balance of energy supply and demand to ensure the transmission system remains stable and reliable.